Eternal Night Review, The Best reviews & Crystal Reviews, Bookideas.com, SF Site, ScribesWorld, Fantasy Novel Review, Dr Bob Rich. Torren has spent most of his adult life working as a mercenary. When he comes across a young woman, Larana, apparently running for her life, pursued by two men, he has no idea what he is getting himself in to. When he finally sees the curious scars on Larana’s back he suddenly discovers her true identity and realizes that he must return her to her people, The Chosen. The Chosen are so called because they were chosen as special by the god El and given wings as a sign of their significance. The inhabit strange floating cities that travel over the world, remaining still over each land-based city in turn. 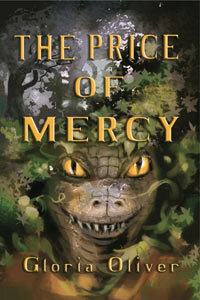 As Torren returns Larana to the capital city the truth about both their identities is revealed. However, shortly after her return Larana is poisoned and left in a coma, unable to wake. Torren, with the help of both the Chosen and the Landers (land-based people) must discover both the identity of the would-be assassin and the particular poison used before it becomes too late to save her. Vassal of El is a wonderful combination of fantasy story and murder-mystery (ok, to be pedantic, almost-murder-mystery). The two main characters are thrown together when Larana, pursued by two men bent on killing her, turns to Torren to save her. He, of course, realizes very quickly who she really is and that she must be returned to he people. However, unlike many such novels, this is far from the crux of the story. The main body of the tale revolves around the attempted murder of Larana and the discovery of the traitor within the midst of the Chosen. Torren is a character of many dimensions. He is not just a mercenary with a good heart. 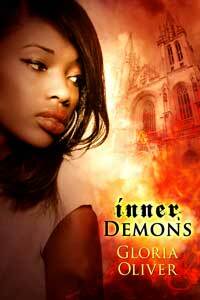 He has a past that he is forced to live with, one that torments his sleep with vivid nightmares. It would seem that nothing can erase the scars of his childhood, both mental and physical. The concept of The Chosen is rather refreshing. OK, I have read stories previously that include both winged-angels and man but in the case of the Chosen, the winged beings are not angels. They are a race of people granted wings by their God El, who live in floating cities and rarely travel down to the world of the Landers. They have the same weaknesses and conflicts as “normal” people along with an arrogance borne of their knowledge that they were considered more worthy by god. Vassal of El is a superb story, both enchanting and exciting. A good example of the high quality writing being published by Zumaya Publications. If there is any justice in the world, both Gloria Oliver and Zumaya should have a great future ahead. Haunted by this and similarly torturing dreams, Torren travels to obtain a mercenary position that will offer some security and peace. But his rescue of a hunted orphan, Larana, seems to enfold both of them in a desperate battle between the earthly Landers and several vying groups with the Flyers. The latter are the Chosen, creations of supposed perfection who possess superhuman powers dedicated to virtuous living. But some have demonstrated their all- too-human frailties and are determined to use their power to destroy their opponents, Flyers and Landers. Torren and Larana have a set place in this power struggle which they only discover throughout their struggles and battles in the deepening conflict. What is remarkable to enjoy in this novel is the transformation Torren undergoes because of Larana’s unusual personality, fearful yet strong, dependent yet independent, distant yet loving. She truly is the Vassal of El, who never forgot the kindness humans could demonstrate and whose followers focused on “what it was to hope, to love, to dream”. Gloria Oliver has created another fine fantasy novel (like her first novel In Service of the Samurai) which quickly engages and holds the reader’s hunger for the resolution of love conquering evil. In a world of flying cities inhabited by the airborne Chosen, the grim mercenary Torren finds he is unable to free himself from responsibility for a distraught orphan called Larana. Mysterious attackers have murdered the aunt and uncle who had taken her in and Torren realises a similarity between her circumstances and his own unhappy childhood. Soon the two are embroiled in a desperate battle to return peace to the troubled Chosen people. This is a pleasant fantasy story with a happy ending that some will find needlessly sentimental. However, the general course of the narrative zips along at a swift pace and the characters generally behave in believable manners. There are constant reminders of the presence of the wings for those who have them which help to differentiate the characters and point out the fantasy element. There are other touches of time and place which work well. The naming of characters, on the other hand, does not make a lot of sense and it seems as if the author has simply provided them with names which appeal to her. 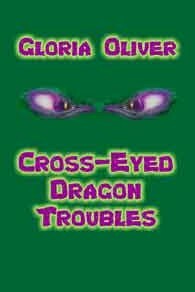 While it would be unrealistic to expect Gloria Oliver to create as intricate and detailed a world as JRR Tolkien or even Robert E Howard, nevertheless societies as isolated and distinctive as are presented in this novel really should give rise to people who are identifiable by their names. Fantasy literature draws from a long line of tradition, including Tolkien, Lord Dunsany, Arthur Machen, Jack Vance, HP Lovecraft and the like. Each of these was distinguished in the ability to draw on the myths and substance of our shared history and their narratives characterized by language redolent of that past. To share in this rich heritage requires understanding of this language and the occasional borrowing from it. For this reason, I am occasionally dismayed by the use of modern American idioms which are jarring and which distance the book from the tradition of fantasy literature. This does not mean that the language must be deliberately archaic or frozen in the past or even that there is no place for modern usage. It does mean avoiding phrases and usage that reminds the reader that this is not a real world at all but an invention from a very specific time and place. Nevertheless, this is an enjoyable page turner and it is good that some thought has been given to how society would function under the conditions specified. Trade and geography are included, while the characters-at least the two central characters-do show some signs of development. That makes this an enjoyable fantasy that can be recommended to fans of that genre, especially those of a religious bent. Gloria Oliver’s Vassal of El (originally titled Wings of Angels) is an entertaining and fast-paced tale of Torren, a loner mercenary with a past and of an innocent young maiden, Larana, who is far more than she knows. He rescues her as she is running from soldiers bent on her capture, and together they make their way north to where he seeks to offer his services as a mercenary. There he discovers her identity and returns her to the Winged people or Flyers for which, as Aen, she represents the living embodiment of their God. But not all is well upon the floating islands of the winged people. When Aen falls into a comatose state — the previous Aen having been murdered — Torren must return and ferret out the bad seed amongst the Flyers. While Vassal of El, the author’s second published novel isn’t mired in clichés, and the story is clearly and competently described, it isn’t however terribly original, and certain elements of the story certainly don’t enhance its plausibility. For example, when Torren returns with the teenage Larana to her home, burned to the ground by those seeking her, and she runs into the ruins to discover her adoptive parents burnt to death, to the point where “pieces of the corpses had come away with [the debris]” she is initially in shock, virtually unconscious of his presence, but within minutes she is discussing local geography with him, and within a few days she appears to have completely forgotten these highly traumatic events. Certainly she in no way exhibits any psychological disorders resulting from post-traumatic stress. Within days, she is capable of bargaining for lodging and taking care of animals, without the least hesitancy. Certainly Torren is far more believable as the archetype of the man with a past who has shut himself out to women. The story of a seemingly lower caste outsider who enters and saves an upper caste society from itself is nothing new (e.g. Thomas Temple Hoyne’s 1934 Intrigue on the Upper Level), but here the story is much more one of mystery and intrigue than one of social commentary, particularly as Flyer society is little described, beyond very broad strokes. Similarly, there is no description of how it feels to be a Flyer, as opposed to a Lander, what does such an ability bring to the life experience of a Flyer? Edmond Hamilton’s “He That Hath Wings” (Weird Tales, July 1938) is perhaps the best story to explore this experience. As for any mystery regarding the bad seed among the Flyers, what mystery is there? Very little: as the traitor amongst the Flyers is obvious early on with his “knowing smiles” and the fact that Larana/Aen shivers when in his close proximity — amongst other clues. Stories of winged humans date back to Daedalus and Icarus, but have made numerous appearances in fantasy literature, particularly in lost race tales, from Robert Paltock’s The Life and Adventures of Peter Wilkins (1751) set in Antarctica to Stanton Coblentz’s When Birds Fly South (1945) set in central Asia. Unlike these works, the Flyer’s ability to fly is not exploited, either in terms of what they are physically capable or of any symbolism. Certainly the sense of wonder and desire that Paltock’s and Coblentz’s male protagonists exhibit before winged humanoids, is not matched by the Landers of Vassal of El, rather the Landers are mostly jealous and resentful of the Flyers. Even if Vassal of El’s original title was Wings of Angels, there’s very little of an angelic nature in the Flyers, a number of them being rather elitist not to say outright racist towards the Landers or “grubs.” What is perhaps interesting is the parallels one might draw between the character of Larana/Ael, a wingless Flyer, and the flying women whose wings are clipped by men in the early (1914) feminist lost race novel Angel Island by Inez Haynes Gillmore (both authors coincidentally having been born in Iberian cultures, Oliver in Puerto Rico and Gillmore in Brasil), but I’ll leave that to those better versed in such studies. For an entertaining, don’t ask too many questions read, Vassal of El delivers, and is suitable for readers young and old, which for a new author like Oliver is already a significant attainment. However, if you want your fantasy with something below the surface, perhaps some socio-political commentary, then look elsewhere. girl comes to him for help he reluctantly comes to her aid, unaware of what effect this will have on his life as his future. As though someone had chosen him as her, protector he finds himself ever more embroiled in her troubles as memories and feelings he had long thought dead come back to haunt him and leads him to his own destiny. foreshadowing and half forgotten memories the author slowly brings forth the story of Torren and of the young girl he has unwillingly befriended. The twists and turns keep you guessing and just as you have it figured out, you have to reevaluate your conclusions. The author draws you in so that Torren becomes a friend you care about and empathize with. It is a work that offers not only entertainment but inspiration and hope for us all. This is definitely a must read and I have given it a full four star rating. the Mother very joyous indeed! Her pleasure in her son was a wonder to behold. safe and warm. A group of villagers had taken him in and cared for him. El stayed with them and learned from them. Then when he returned to his powers, he granted them a wondrous gift, the gift of wings and floating islands to live on. These were his chosen people. Time passed, as it always does. The Chosen forgot their humble beginnings and began to look at the Humans as lesser beings. The Humans envied and feared the Chosen with all their privileges. Now rumors of a possible war are circulating. Torren is going to check it out and maybe find work as a mercenary. Torren is being tormented by nightmares! How hard he has worked to forget the past and banish those dreams! Just when he thinks he’s succeeded, the dreams come back with a vengeance! Suddenly fate, in the form of a gangly young girl, jumps in and spins his world out of kilter. Torren rescues the young girl, Larana, from the people who killed her adopted aunt and is plunged headfirst into dealing with his past…and all its memories! One cannot help but feel his pain and confusion. 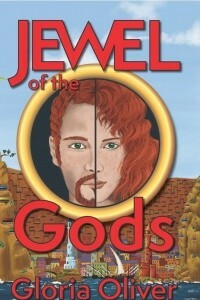 Ms. Oliver fabricates a wonderful new world filled with mortals, gods, and angels. This story makes the reader take a look at mankind’s tendency to accentuate the differences in beings and overlook the common ground. Enlightened reading! Vassal of El is a fantasy with a refreshingly different world. El is one of the Gods, who seems to be the kind of God we all like to have. Long ago, some people had been kind to him, so he gave them flying lands, and wings of their own. But that was a long time ago… and we don’t know this at the start of the story. We have a grim, embittered mercenary who rescues a gangly fifteen-year old girl from savage pursuers who kill her foster parents. In a way that reminds me a little of the Belgarion, neither of them knows how special and unusual they are. With all the plot twists and tension that you like, the pair go through adventures, and we meet other attractive characters like the idealistic Micca and the good-hearted Sal, as well as the villains of the piece. The author shows a deep understanding of how trauma scars a person’s emotions. Torren, the hero, has been terribly mutilated as a boy, during a cowardly attack in which his father had been killed. His reactions are true to life, and the author’s skill brings his emotions to life as he struggles with past memories–and as he struggles with his innate kindness while trying to maintain the front of tough, uncaring mercenary. If I have one criticism, it is that the identity of the villain was rather obvious. I picked the mysterious chief baddie at first meeting. However, his unmasking was an exciting scene, and the reason for his destructive plotting is revealed as, yet again, childhood trauma. The messages of compassion, decency, and the falseness of prejudice are shining beacons in the story, but never obvious in-your-face. They are shown rather than preached. And the ending is beautiful. I am a tough old soul, but it brought tears to my eyes.